PLS polythene encapsulated rolls and pads are manufactured using Isover Space Saver glass mineral fibre roll. 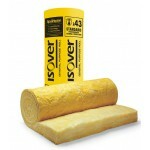 A1 fire rating insulation, made of recycled products. The insulation is then totally encapsulated in 200g polythene (Vapour Checked to BS 2972 / 1989) and heat sealed. This method of encapsulation provides a completely safe and environmentally friendly product, and does not detract from any of the raw materials properties, thermal or acoustic. If the finished product needs to be cut etc on site then the normal precautions for handling the glassfibres must be adhered to. Individual COSH sheets are available. Normal pad sizes are 600mm x 600mm x 1200mm variations are available on request. Normal roll sizes are 600mm or 1200mm wide up to a maximum length dictated by the glass or fibre manufacturers roll length, information on request. PLS Orange flame retardant pads are also available, as has recently been specified in a large supermarket chain refurbishment. Rock Mineral Fibre insulation pads when used in conjunction with mineral fibre suspended ceilings can dramatically reduce sound breakout. Typically a 50mm 45 kg/m3 pad correctly installed can achieve a upto 45db rating and a 50mm 60 kg/m3 pad can achieve upto a 48db overall rating, with a 100mm pad being able to offer upto 70db overall, in conjunction with a mineral tile ceiling. Obviously different combinations and thicknesses can achieve different overall performances. 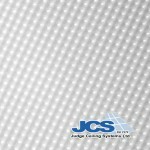 Make your suspended ceiling more energy efficient this winter with ceiling insulation pads from JCS. These 200mm thick pads reduce the amount of heat and sound lost from a room. 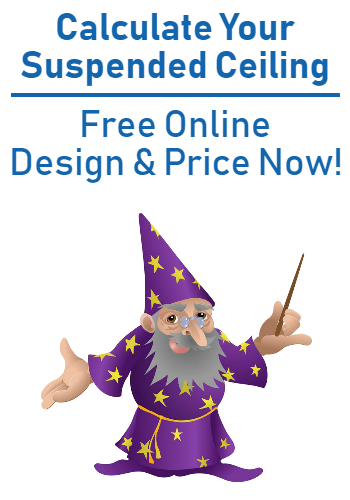 They’re lightweight, so they won’t damage the integrity of your ceiling. And once they’re in place, you can leave them to get on with the business of saving you money. Young lady who took the order was fantastic. Quick and efficient, understood what I wanted and put the order through. I had a phone call telling me goods would be delivered "Lunch time tomorrow". Actu..